In the city of St. Canard, the people are plagued by the most bizarre criminals, but they have a protector as well, Darkwing Duck. 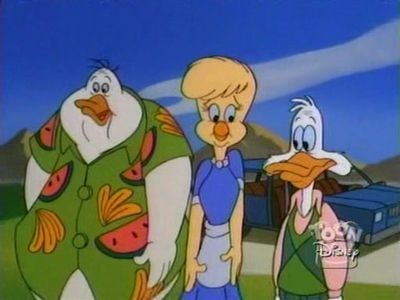 This bumbling and egotistical superhero battles evil in that fair city with the help of his pilot sidekick, Launchpad McQuack and his rambunctious adopted daughter, Gosalyn. A nefarious criminal from the past returns, to profit by auctioning of all a complete list of S.H.U.S.H. 's secret agents. J. Gander teams up Darkwing with the legendary Derek Blunt to intercept the documents before they fall into the wrong hands. Fenton/Gizmoduck heads to St. Canard after Steelbeak. The F.O.W.L. 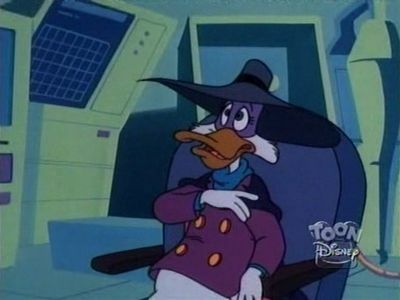 agents soon finds out and frames Darkwing so Gizmoduck will think he's evil. The two fight it out, while Steelbeak tries to steal a new, top-secret weapon. Gosalyn takes up archery, and bests Negaduck with it. 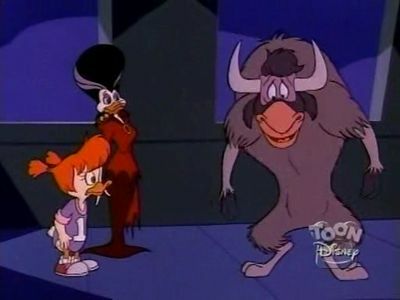 Against Darkwing's wishes she creates her alter-ego, the Quiverwing Quack and causes a stir of publicity. 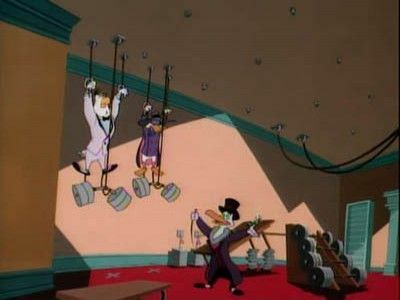 She also becomes Negaduck's new target - so he can regain his position as Public Enemy # 1. 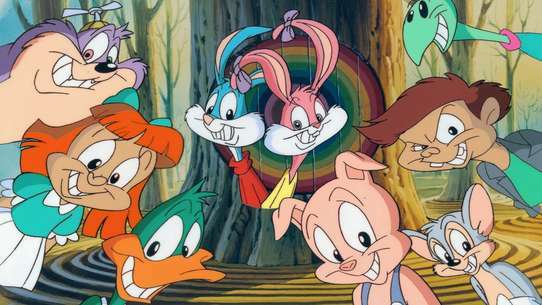 Negaduck, Bushroot, Quackerjack, Megavolt, and Luqidator all join together as the Fearsome Five to defeat Darkwing Duck and take over St.Canard. When the other superheroes hear about this Neptuna, Gizmoduck, Morgana, and Stegmutt band together to fom the Justice Ducks. Darkwing is less than thrilled, however, wanting all the credit for their defeat. 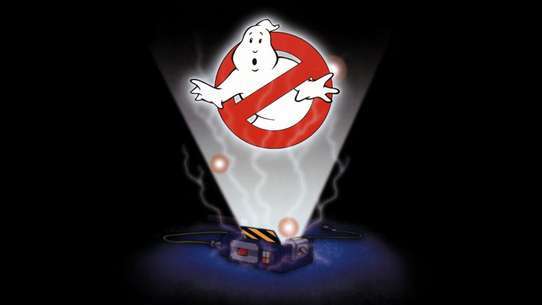 But when he faces the Fearsome Five, he soon finds out the job is more than he can handle. The Justice Ducks are each defeated and captured by the Fearsome Five. Darkwing rushes to the rescue, and the five heroes join in battle against the five villains, with the ultimate victors deciding the fate of the whole city. 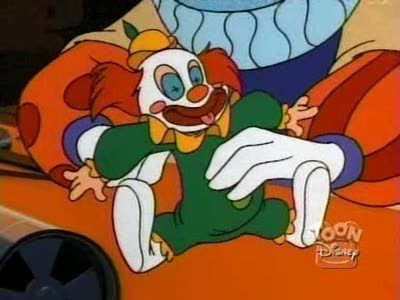 A Sprit named Paddywhack is unleashed from a jack in the box when Gosalyn gets into mischief, and possesses Quackerjack's doll, Mr. Banana Brain. 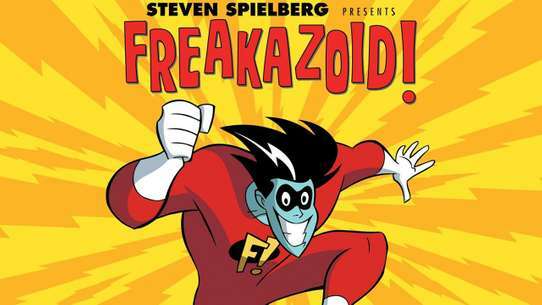 As he causes trouble alongside the demented toymaker, he grows, feeding from the negative emotions around himself. D.W. gets the D-2000 super-computer! 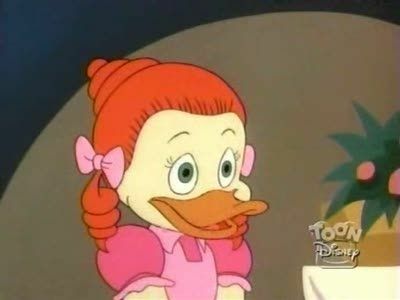 While it seems to be perfect, Launchpad feels it's replacing him as sidekick, and Gosalyn is fed up with not getting away with anything, and introduces it to Launchpad's soap-operas. Soon, even darkwing wants the machine gone when it falls in love with him. 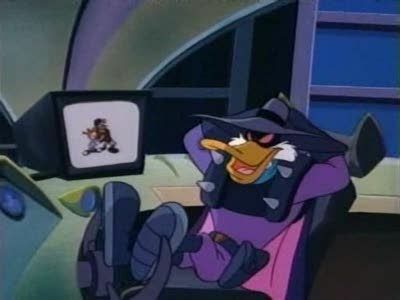 Darkwing finally tells the computer system it's getting unplugged when he gets to the tower, at which point it goes berserk and decides that if it can have D.W. noone else will! Moleiarty, the fiendish genius marketer and mole from the deep underground, has rallied his fellow race for an attack to take over the surface city of St. Canard. 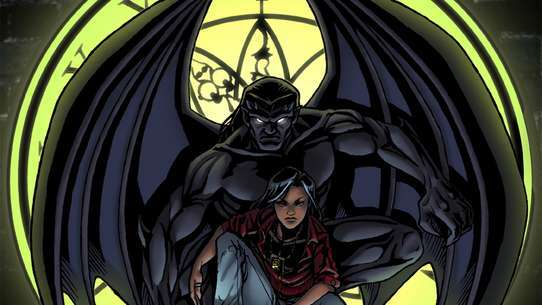 Stealing buildings, he creates a beam to lock the moon in an eternal eclipse, to plunge everything in darkness. 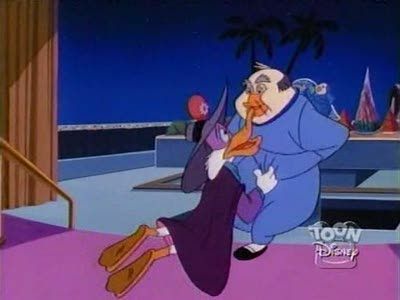 Darkwing's computer goes haywire, and causes him to trade bodies with Gosalyn. Now she must pose as Darkwing to stop F.O.W.L. 's latest scheme - stopping the Earth's rotation in an attempt to blackmail the planet. Can DW defeat Steelbeak in a child's body? And how can they reverse the body swap? J. Gander asks DW to train some of Shush's agents. That does not go over well with Agent Grizzlicoff, who joins F.O.W.L. as a double agent. 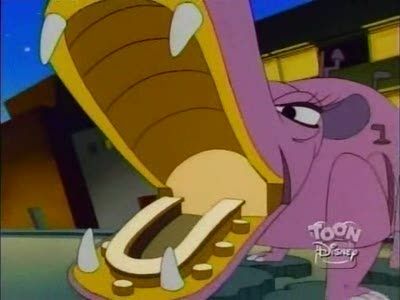 Steelbeak sets a trap for the newly titled ""Darkwing Squad"" while Grizzli faces off against Darkwing. When Quackerware comes to life, S.H.U.S.H. thinks Herb Muddlefoot is behind it!! Drake investigates by joining in on Herb's Quackerware sale route. 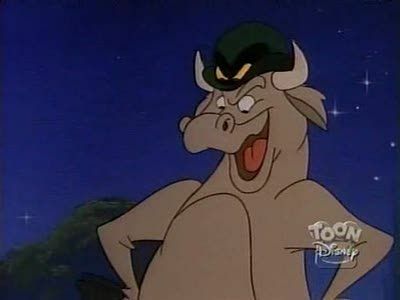 To get revenge on Darkwing, Jambalaya Jake has Granny Whammy mix him up a hex. 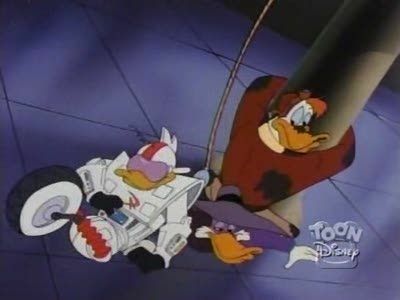 He mistakes Launchpad for Darkwing (while he is posing as Darkwing Decoy) a targets him with the curse. 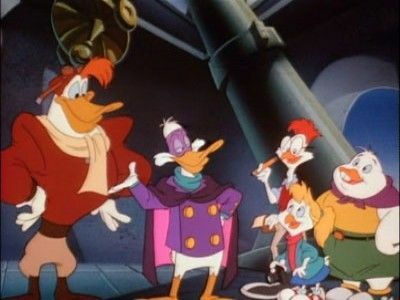 Now Jamabalya is using Launchpad as a partner in crime, and Darkwing is getting all the blame for it. Quackerjack, posing as a psychiatrist, convinces Darkwing that being a superhero isn't right for him. With Darkwing out of the picture, the criminal is free to go on a crime spree. A day at the beach gets turned upside down when the gang has to feal with attacks from sea creatures. In comes Neptunia, whom is sick of the pollution that is dumped in the sea and caused her to mutate. 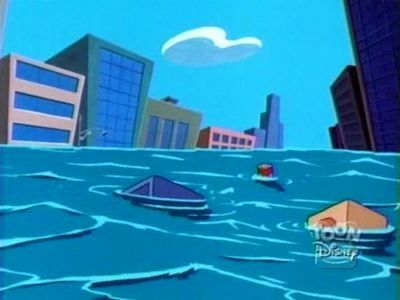 She plans revenge by flooding the city of St. Canard! 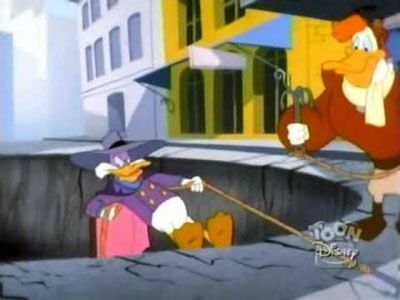 A news program reveals Darkwing Duck's identity as Launchpad. Alien hats from outer space invade earth, take control of a slew of nuclear weapons, and demand to be made rulers of the universe. 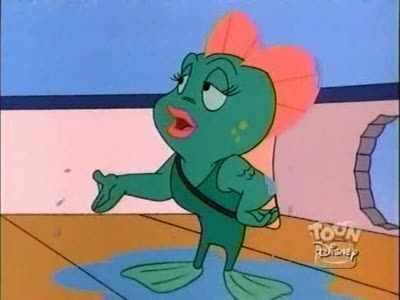 Under Binkie Muddlefoot's advice, Drake decides Gosalyn should act more like a ""lady"". Meanwhile, Tuskernini has developed a spray that makes people act the way they are dressed and targets the rich citizens attending the school masquerade party. 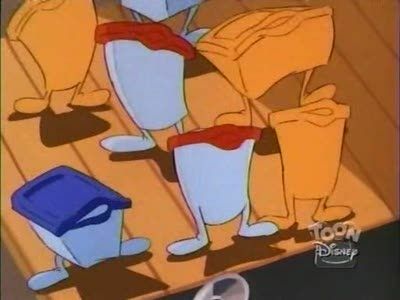 Darkwing goes undercover at a health spa to root out a pair of workers responsible for a museum break in. 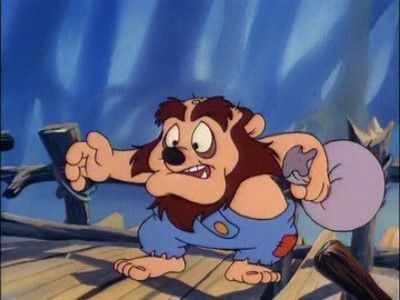 To his dismay, Herb and Binkie Muddlefoot tag along. The health spa owner, Jock, has discovered the formula for a fountain of youth. The last ingredient he needs is a feather from a true hero. Darkwing chases Moleiarity to the city Kung Pow where he meets up with his old martial arts instructor, Master Lee. 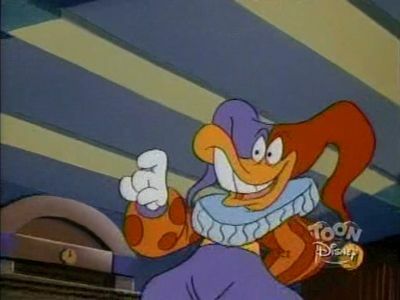 While pursuing the Fearsome Five (and therefore escaping the Muddlefoots and their boring ""Pelican's Island"" birthday party for Honker), Darkwing is thrown into a giant cake - which serves as the universal portal between his world and the Negaverse. 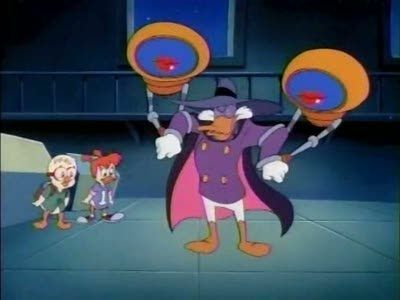 In the Negaverse, everything is the extreme opposite of his world and Negaduck is supreme ruler, so Darkwing decides to use his new friends (The "Friendly Four") to change things a bit, which Negaduck does NOT like. Steelbeak teams up with agent Amonia Pine to clean out banks for F.O.W.L. 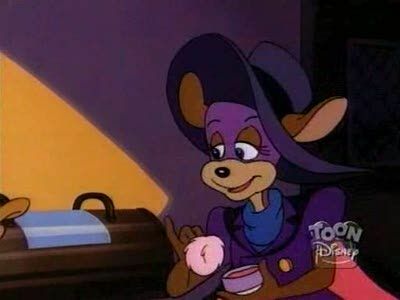 Gosalyn starts a Darkwing fan club. 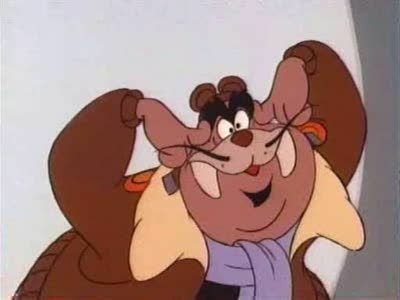 During a battle between Darkwing, Megavolt and Quackerjack, Gosalyn ends up aboard the villains Time Top, just before it starts up and takes them to the future. 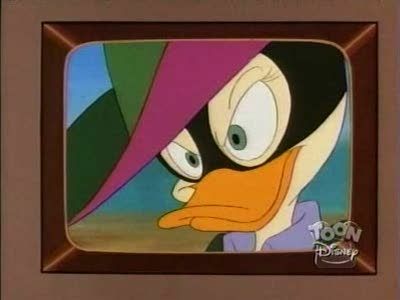 There, Gosalyn finds out that Darkwing has become Darkwarrior Duck, and enforces the law with an iron fist! Negaduck steals a diamond that can steal others' powers. 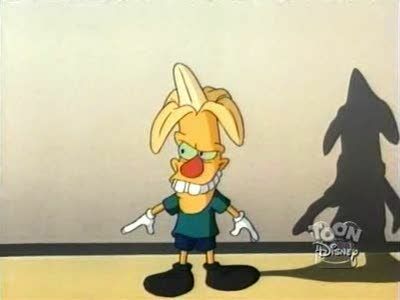 And after he steals the powers from Bushroot, Megavolt, Liquidator and Quackerjack, they need to use their weaknesses to stop him. Darkwing Duck is accused of stealing a tribes jewel and the leader puts a curse on him. Now they have to get it back from Negabuck and sop him from using it.But where is the leader to get the curse off? 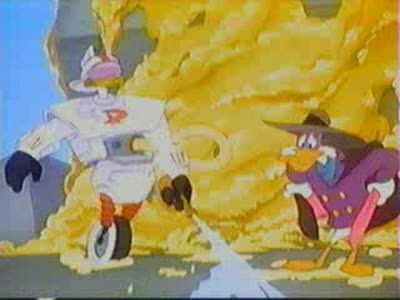 Gizmoduck comes to St. Canard in order to help stop Megavolt's latest scheme: Stealing horseshoes and cable to build a giant electromagnet. Darkwing is hardly receptive and wallows in self-pity as the super-suited superhero takes the spotlight.